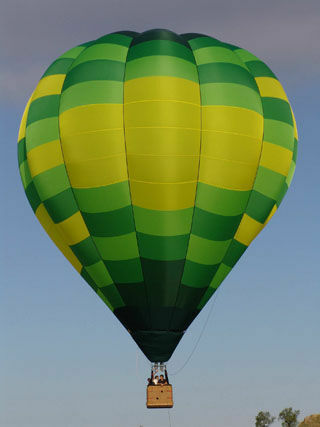 Balloons flights are accomplished always early in the mornig, because the temperature is colder and the wind is stabler. 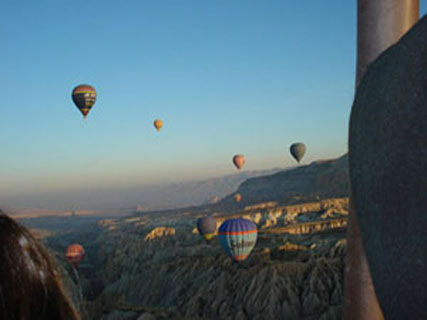 Before sunrise, we will choose the take off place and to blow of ventilator and burner, we will iflate the balloon, and ...it begins THE ADVENTURE. The balloon ascends softly, transporting us to the most oneiric of the dreams: Fly, float, like in a cloud, to be part of the air, slide with the wind, so softly that it would be said that we do not move, as it out the landscape its the one that it was moving ,showing us, little by little, its splendor, from our privileged point of view. The exursion has an approximate duration of three hours, and includes the following: INSUSRANCE, FLIGHT (Between 35 and 45 minutes), SNACK, "BAPTISM OF THE AIR", and delivery of the certificate. The excursion is accomplished in the following way: · We pick up you in the hotel and we move you to the flight field. 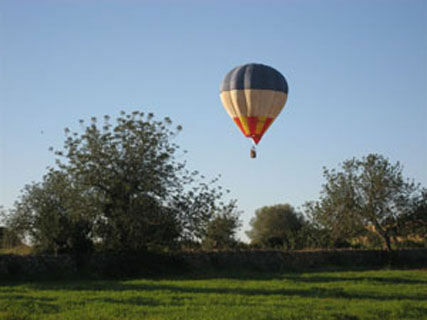 · In the basket travel the pilot and four passengers on board. · Ended the filght, we will accomplish the "Baptism of the air", and we will have a snack. · Return to the Hotel.